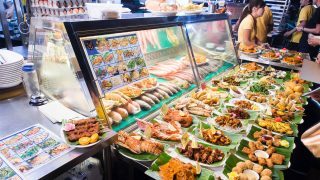 A true blue 'Eastie' at heart, An Lian has a love for the great outdoors. An avid runner by night, she enjoys the feel of wind against her cheeks when she cycles and the refreshing feel of the clear, blue water when she swims. A down-to earth individual who loves traveling, reading and exploring and trying out new things, An Lian aims to live life to the fullest. 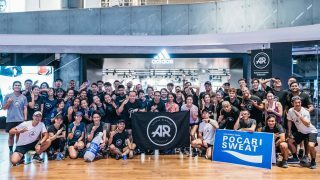 It was not the usual shopping crowd outside Nike’s lifestyle concept store at Orchard Central last Saturday night, look closely and you could see a throng of excited females all geared up for the Nike free trial run. The training run was part of Nike’s initiative to bring female runners together, so as to inspire them to enjoy running in a social setting. Close to 15,000 enthusiastic female runners gathered excitedly with their besties at The Float@Marina Bay on 11 November 2012. 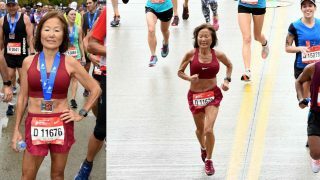 Honest to goodness female camaraderie filled the atmosphere, as fellow runners greeted each other with an encouraging smile and words of encouragement as they awaited the start of Asia’s largest women’s only race. It is good to know that The Great Eastern Women’s Run is a key initiative under Great Eastern’s Live Great Program which promotes health and wellness through sports. The key of this program is to help women, live healthier, better and longer. Nike Run 2012 has outdone itself compared to last year. Not only are the routes well planned, with a good mix of city views and flora and fauna of the Kallang riverside area; the mix of flat road and upslope also brings about an interesting mix of difficulty level for some. 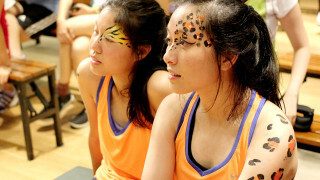 The fringe activities that happened after the race were also well thought out to facilitate interaction with peers. A pole dance class typically involves some spins, climbs, dance moves and sometimes floor work as well. This combination of intensity levels classify pole dancing as an interval training, which is great for runners to try after running intensely. Interval training is known to be one of the best ways to burn fat and drastically improve your cardiovascular fitness. In order to gauge our level of fitness, it is basic to first know how to calculate our Resting Heart Rate (RHR). Wendy recommended that we count our heart beats for 10 seconds and then multiply the number of heart beats by 6; this allowed us to have a rough gauge of our RHR. It is more accurate to calculate this first thing in the morning when you wake. 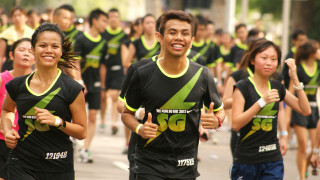 The 9th Annual Mizuno PAssion Wave Run 2012 (MPWR) had a turnout of 2631 participants this year. What was distinct about the run was its unique local heartland feel. 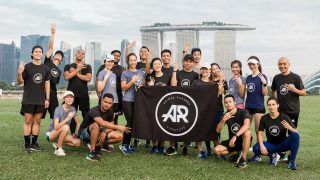 You could hardly ignore the enthusiasm of avid runners as they were clearly excited to begin their early morning 16km run in the midst of Bukit Merah HDB estate.